The Westerkerk (“Western Church”) is was completed in 1631. 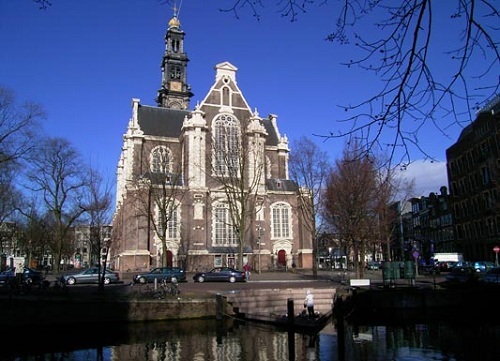 It is locally the most loved church and has inspired many Amsterdam singers. It is also the place where famous painter Rembrandt is buried. The Westerkerk is built in Dutch Renaissance style and was the biggest protestant church in the world when it was built. Perhaps the most prominent of all Amsterdam churches. The Westerkerk is open between 10am and 5pm on every day except Sunday. On Sunday the Westerkerk is only open for the service. 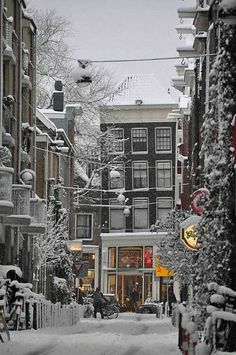 It is located on the Prinsengracht. The Nieuwe Kerk (“New Church”) is actually pretty old. It was completed in 1408 but was rebuilt and restyled many times afterwards. The enormous medieval building that exists today was completed in 1540. It is no longer a church but features exhibitions. It is also known as the place where the Dutch royal family has their weddings and the like. From that perspective the most prestigious of all Amsterdam churches. 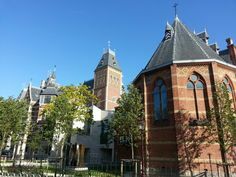 The Nieuwe Kerk is open when exhibitions are featured, check out when here. It is located next to the Royal Palace on Dam Square. The Oude Kerk (“Old Church”) is the oldest building in Amsterdam and was built around 1300. The Oude Kerk today features exhibitions and a very interesting interior in itself. People like the wife of Rembrandt and the centerpiece of the Nightwatch Frans Banning Cocq are buried in the Oude Kerk. One of the most prestigious exhibitions in the church is the annual World Press Photo expose. The Oude Kerk is open from Monday to Saturday from 10am to 6pm and on Sunday from 1pm to 5pm. 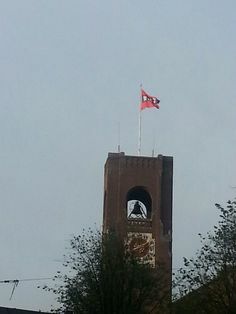 It is located in the Red Light District at the Oudekerksplein. The Zuiderkerk (“Southern Church”) was built in 1611. 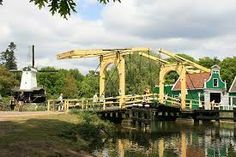 It is best known for the breath taking sceneries it creates with its surrounding canals. 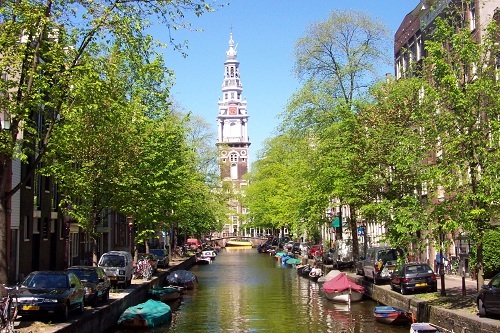 It is also one of the church towers that shapes Amsterdams skyline. It is a beautiful structure and guided tours are available. 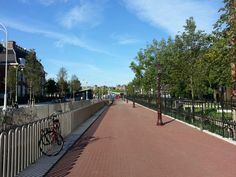 There are no services anymore in the Zuiderkerk. Today is is a place for exhibitions. One of the more prestigious exhibitions is the wall of fame of Dutch people who contributed to society through charity and initiatives. Among the good hearted Dutch people are Johan Cruyff and former Amsterdam mayor Job Cohen. This is the hidden gem of Amsterdam churches. 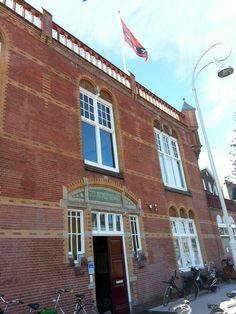 The Zuiderkerk is open from 13:00 to 17:00 daily except Sunday when it’s closed. Guided church tours cost € 7,50. 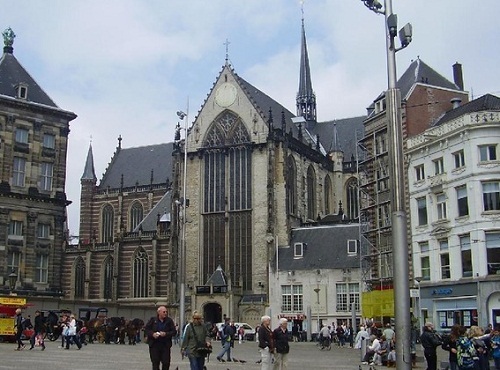 The church is located a couple of hundred meters west from Dam square. The Noorderkerk (“Northern Church”) is a Protestant church in the heart of the Jordaan. This church was built in 1620-1623. The Noorderkerk is different from the Westerkerk and the Zuiderkerk because it’s church tower is much smaller and it’s base is much bigger, Renaissance style. There are services every Sunday between 10:00 and 18.30. 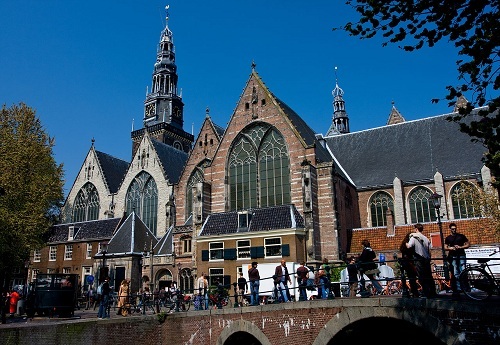 The Noorderkerk is also known for its classical music concerts held every Saturday. Be also sure to check out the flea market on Monday. The Noorderkerk is open to the public on Monday between 10:30 and 12:30 and on Saturday between 11:00 and 13:00. Entrance is free. 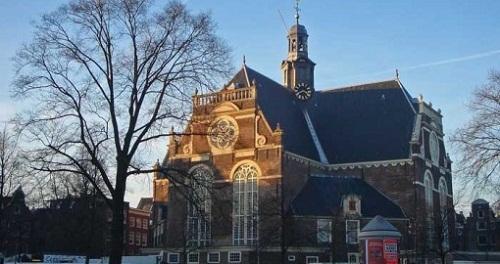 The Noorderkerk is located on the Noordermarkt, aside the Prinsengracht. De Krijtberg is a Roman Catholic church located on the Singel gracht. It was built in 1883. 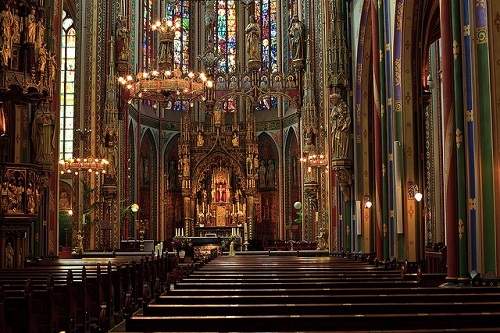 It is known for it’s beautiful interior which you can see attending one of the services of the church. De Krijtberg is not open for tourists on other occasions.